Overall, the survey results describe a physician community that now favors the adoption of EMRs. Physicians who are using EMRs in their offices can cite concrete benefits to their office operations and quality of patient care. Among the adopting physicians, 93% report that they are satisfied with a fully functional system that includes order entry capabilities and clinical decision support. 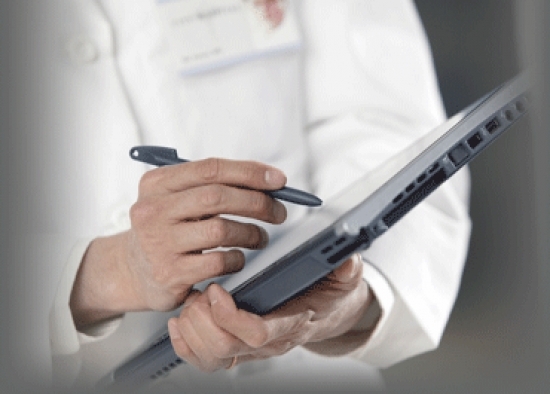 88% who utilize a more basic EMR system indicate that they are satisfied. While physicians believe that EMRs are beneficial to their practice, a concern across the board is cost. A large majority of respondents reported an overall positive effect on their practice with the use of their EMR system. More relevant to the individual physician, perhaps, is the need for change in the following four areas, areas in which the application of HIT will be noticeably beneficial: patient safety, quality improvement, pay-for-performance reimbursement, and improved practice efficiency. As physician income continues to decline, controlling practice costs is becoming a critical issue for physicians in office practice. Medical practices that use HIT potentially can gain the same type of cost savings that information technology has long been creating in other businesses through the substitution of technology for manual work. With EMRs, clinical staff no longer needs to pull charts for every patient visit, every patient phone call, or every request for a prescription renewal, and no one has to search for lost charts. One study of a number of family practices that installed HIT systems found that the combination of more accurate coding and additional office visits (due to increased efficiencies) generated an additional $23,000 per physician in annual revenue. The cost recovery and subsequent improvement in practice profitability result from a series of process improvements that EMR capabilities facilitate. A combination of template-based documentation and expert coding advice increases the use of higher-level codes because physicians and coders are more confident of their ability to demonstrate the appropriateness of their code selections. The elimination of paper records leads to numerous efficiencies that flow to a practice's bottom line. The time spent pulling paper records for every patient visit, telephone call, or request for a prescription renewal is virtually eliminated. There are no more lost records. Medical record supply costs also are eliminated. The office space used to store medical records can be eliminated or put to profitable use. The number of nonclinical employees can be reduced, or alternatively, each staff person's responsibilities can be shifted to support a practice's ability to handle an increased patient load. The ability to run a profitable satellite office is greatly increased through the availability of EMRs over a practice's network, which eliminates the need for faxing records back and forth.